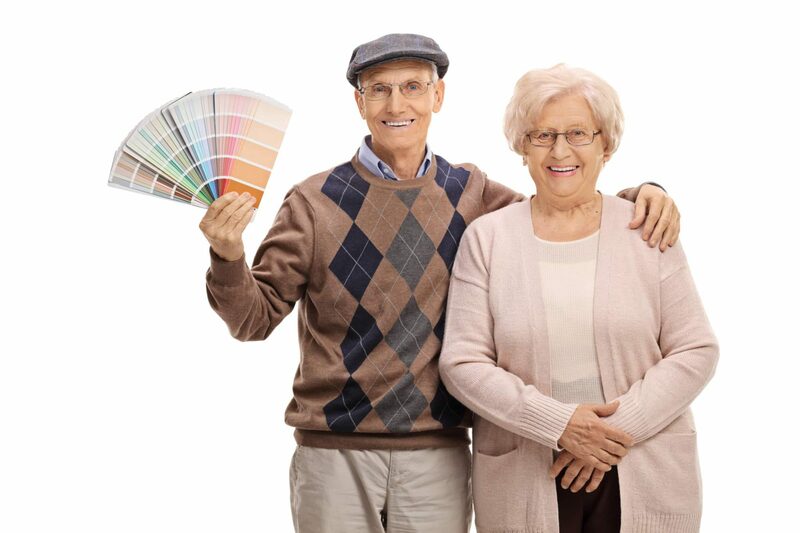 For most homeowners, the idea of home remodeling is a double-edged sword; 1) the relief of finally improving or building your home and 2) the angst knowing you are about to start an exciting new chapter with unknown remodeling contractors. The truth is dealing with some home remodeling and building contractors is absolutely regrettable. 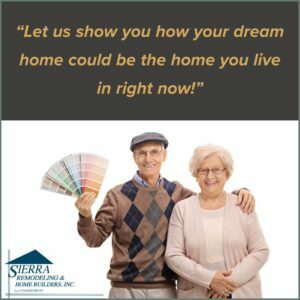 However, Sierra Remodeling has refined its homebuilding and home remodeling process over nearly 40 years in business here in the Vistas. Our process has been developed, scrutinized and changed over time in order to remove all the friction points to you the homeowner. We realize your time, money and perhaps even patience are in short supply and, we do everything within our power to construct the home of your dreams sans all the pain and disruption. Call Sierra Remodeling and Home Builders at (520) 459-3164. This first step is often the most important since we want to ensure your vision, budget and timetable are all in alignment and fully understood by both parties. In our formal proposal there will be included a total cost of the project and a payment schedule. Your payment schedule is based on a deposit and four project milestones. Up front will will accept your deposit for work that has been completed to date. As construction progresses, we will then invoice you as we complete each of the four milestones. Yes, Sierra Remodeling can assist you with financing your project. We offer Wells Fargo Home Improvement loans with rates as low as 6.99%! Additionally, we kick in our Planning Department and schedule your job from start to finish. Finally, we assign and meet with your on-site project lead. They will be the tradesperson who will be your main point of contact throughout the construction process at your home. On the start date of your project, your salesperson will accompany your assigned project lead to your home. They will review the entire project with you, answer all of your questions and ensure your home remodel or home build is on track and off to a great start! Visit our During the Remodel page to learn what to expect. During the construction process, your salesperson will visit your home daily and ensure your project remains on track. They will address any questions or concerns you might have then. During their regular visits to your home, your salesperson will stay on top of any required inspections and milestones. After your project is complete, your salesperson will perform a final walk-through with you and the project lead. Every item will be evaluated, checked for proper operation and functionality. Visit our After the Remodel page to learn more about this thorough inspection.